I'm not a reviewer. Reviewing is an art form I haven't mastered. 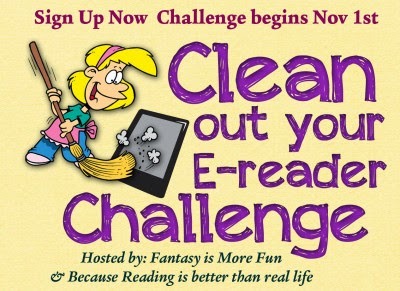 But I'm taking part in the Clean Out Your E-Reader Challenge and wanted to share my experience here. So, this is my opinion of the first book I read for the challenge. 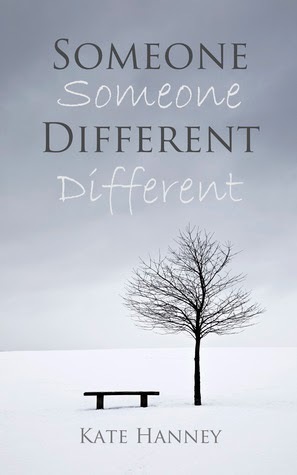 Someone Different by Kate Hanney is a book I just downloaded for free a week or so ago. I heard about it from Wendy Storer, who is a fantastic writer herself (Get Wendy's books here. Do it. You won't be sorry). Huge thanks to Wendy for this find. Kate Hanney is a writer of young adult realistic, gritty fiction. I go more for the paranormal, but I'm finding more and more writers of realistic fiction I admire. Kate Hanney is one of those writers. There is nothing earth-shattering going on in this book: it's about two kids from opposite sides of the track who fall in love and all the difficulties they face trying to stay together. So, yeah, the Romeo and Juliet storyline. But Hanney makes it feel earth-shattering. She got me right in there. Anna is the little rich girl who can do nothing right and Jay is a pot-smoking petty criminal from a violent home. After committing a crime, instead of prison, sixteen-year-old Jay and a friend are sentenced to a work program. Jay is sent to help out in the stables on Anna's parents' estate. Anna is young, extremely lonely and rather lost. While her parents give her everything she could physically want, their emotional support borders on neglect. She falls for Jay practically from the minute she meets him because he is one person who seems to notice and care that she exists. And Jay, for once in his life, is told he is worth something. Anna makes him feel it. Hanney writes in the first-person point of view and leaves little out. I felt gut-wrenchingly close to these two. Any plot coincidences or "contrivances" didn't matter to me because I just desperately wanted Jay and Anna to be together! I cried at parts and stayed up late to finish it. It gets five stars from me. Buy it on Amazon.